Feeling intense discomfort (as well as frequent dischargers) around the corner of the eye? Uh oh. Sounds like you might be struggling with a blocked tear duct. In which case, you’ll want to see a professional about that as soon as possible. 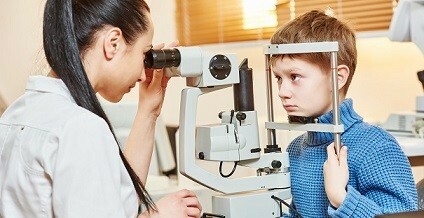 Swing by ChristianneSchoedel location soon for children’s optometry in Hershey. Waste no time and visit us as soon as possible. “I have several friends who take their kids to Dr. Schoedel and are happy with her care…I just wanted my daughter to have the best care possible…” – Brandy S.